Author of multiple books in multiple genre including: Sail Away; Square Peg in a Round Hole; and Confused Memories. Do you write under any other name(s)? I don’t write under any other name, although using initials might help broaden the range of people reading certain genres, such as thrillers, action books etc. For example, men might not be as inclined to read a sci-fi story if they think it has been written by a woman. Product of an American soldier in the U.S. Air Force and an English woman in the Royal Air Force (WRAF), I was born and lived in Ohio until I was 8. My parents then divorced and separated, so, along with two brothers, I spent a good deal of time travelling back and forth between the States and Britain. I’m grateful for having had the opportunity to experience two very different cultures. The irony is, however, I have now lived in France longer than I have either the US or the UK. It was a very bad paperback Regency romance that got me writing. I was convinced I could do better, and I hope I have! I’m a romantic at heart. Having been exposed to Georgette Heyer and Jane Austen from an early age, I began by writing Regency romances. From there it was an easy step to shift to writing about time travel between the Regency period and the present day. When one begins playing with time, it is then easy to move on to science fiction/fantasy. British history has always been my favourite subject, so I have never balked at buying history books. I have also had the good fortune of being able to visit many stately homes in Britain. Because I have now lived in France for almost thirty-five years, a couple of my Regency romances have involved the Napoleonic Wars. Consequently, I have reference books to do with that period, including ones about military doctors. Fashion plates of that time are useful when describing what one of my characters is wearing. Mrs. Beeton’s book on Household Management has been a great source of information touching on the Victorian period. And naturally, the internet is invaluable for tracking down obscure details. There is always someone out there who can help. I’ve asked questions on Quora. Like singing, writing is good for the soul. Unfortunately, not everyone sings on key and the same thought can be applied to writing. Your work may not be good enough to sell, especially with so many independent writers self-publishing. Before you invest in an expensive editor, I would suggest publishing some works for free to get feedback from readers. They might say the storyline is good but it needs editing. That should tell you your next step if you really sense the writer in you. Biographies, autobiographies, memoirs: What advice would you give, about using real names and descriptions, to authors who write in these genre? I ask because many raise concerns about the issue. Personally, I would not use real names in an autobiography (except my own name) or memoir, unless the people were dead. There’s always the threat of legal action for any of the above-mentioned, if real names are used. As I only write for my own pleasure, I would not want to open that can of worms. I mostly self-edit with the help of a couple of friends who beta-read for me. They pick up spelling mistakes or inconsistencies. I haven’t used a professional editor, but if your novel is good and you want to give it every chance, use a professional editor, if you can afford it. I can’t. I have acknowledged Smashwords in several of my books for giving me readers when I first began publishing six years ago. I still publish through them as well as Amazon. That puts an independent writer’s books out in a wide marketplace. It is a well-known fact that book covers are what get a reader’s attention in the first place. If you’re wanting to make money from your books, you really need a professional cover. That can be expensive…The blurb then hooks them, so be sure the blurb is good too. Key words, which you fill in when publishing, help people to locate books on certain subjects. They are important. I have to admit that being retired, I’m not writing with the objective of making a living from it. As a result, I give stories away for free. Sometimes, I only put them for free over a weekend, for example. If readers like what and how I write, they may look beyond the free books and buy others, so I suggest the occasional free story. On Facebook, I have pages devoted to my books. Slowly, people have been subscribing to those pages so they know when I publish something new. I have occasionally promoted my Facebook post for 5€, but no noticeable increase in sales. It has brought me to the attention of a lot of people, though. Who knows, they might buy one of my books at a later date. The same goes for having a web page. I have a free one where I also publish updates on new books as well as blogging on it. The more you spread your name around, the more it will pop-up on an internet search! 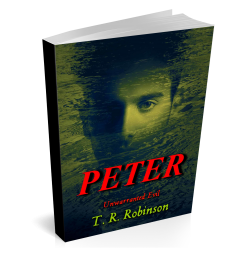 Favourable reviews are what keeps an author writing. The problem is that not everyone writes one when they’ve finished reading a book and some readers can be mean when they do leave one. You have to be discerning when reading your reviews. It is always gratifying to have positive reviews, but I have no idea how to get them. Giving a book away for free doesn’t guarantee reviews, and I don’t like the idea of asking for reviews in exchange for a book, although some authors do. I am ready to read almost anything as long as it’s not gruesome. I’m too old to read gruesome. ‘Time and Again’ by Jack Finney. Note: I blog when something gets my attention. I don’t blog consistently. Thank you Suzy for sharing with us. Three of Suzy Dubot’s books have been reviewed in this website. Click on cover image to read review.